As you would expect, the Somalia embassy websites look like they are out of the late 1990s (full with broken links, outdated and incorrect information). Although somewhat outdated and pretty bad interface, this site here has a list of some interesting things to do if you happen to make the trek to Somaliland. Just make sure you have the appropriate paperwork before venturing off the beaten track. 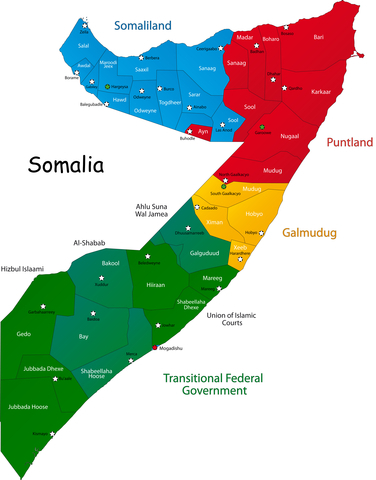 If you are reading this page, you are probably wondering, why doesn’t Visa Hunter include Somalia visa information for Somalia proper (including Mogadishu)? Well, the reason is because getting to Somalia proper is a whole other animal compared to getting to Somaliland. If you are interested in traveling to Mogadishu or other parts of “real Somalia,” you are most definitely going to need a passport and visa. The most popular place to get the visa is at the Somalia Embassy in Nairobi, Kenya. Note that, if you are a United States citizen and are reading this, it will be next to impossible for you to get a tourist visa to go to mainland Somalia. The U.S. doesn’t even have any diplomatic representations for this country (although the Somalia Embassy in Nairobi and Djibouti have limited services).